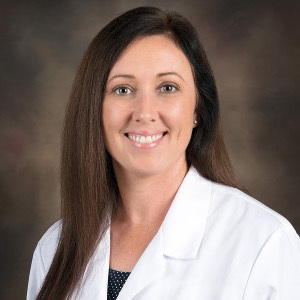 Roxanna Ford join Gessler Clinic as an upbeat and caring APRN-C. She is an active listener and believes in promoting health and wellness through lifestyle and the latest advances in medicine. Ms. Ford was born in Louisiana and started her undergraduate work at Southeastern Louisiana University. She moved to Florida with her two children in 2000 and completed her Associate's of Science Degree in Nursing from Polk State College. After several years experience as an RN she returned to college and obtained her Bachelor's of Science and Master’s of Science Degree in Nursing from the University of South Florida. Her son also graduated from USF with a degree in electrical engineering and her daughter is currently attending USF, Go Bulls. Roxanna is a Family Nurse Practitioner nationally certified by the American Academy of Nurse Practitioners. Ms. Ford has over 10 years progressive nursing experience in Hospice and Palliative Care, Critical Care and Primary Care. She practiced rural health and acute care medicine as an APRN in Key West and performed health risk assessments focused on preventing illness not just treating it. Disease and illnesses can be overwhelming but Roxanna will take the time to address your concerns and teach you about the best strategies to manage and prevent your illness. Schedule an appointment today.